CAMEL at The Royal Albert Hall: CP is looking to offer preorders in the very near future. In addition, Camel will once again offer the chance for fans to have their names in the liner notes in a special thank you section. However, preorders will not open until everything is ready to go to authoring and manufacturing as only then can we have a reliable date for delivery. CP will never accept payment for product that is still a work in progress. Once in authoring/manufacturing, we'll be ready to go. CP continues to push for an April release date. And that's not April Fool's. 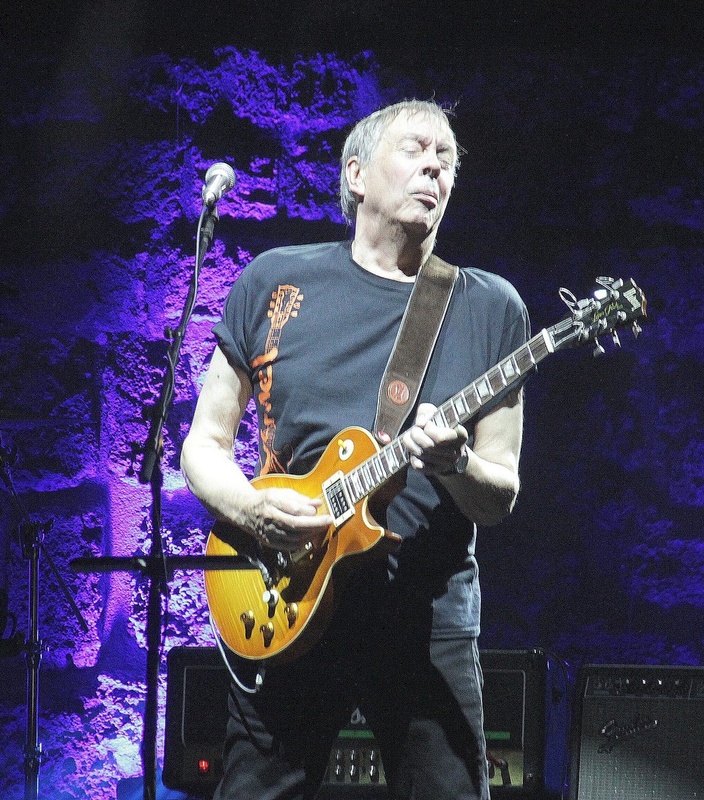 Six weeks post-tour and reviews continue to pour in acclaiming this tour as "Camel's most outstanding lineup since 1978" and many go so far as to say it's the greatest of all. The mantle has been passed from the late Peter Bardens to Peter Jones, the talented mulitinstrumentalist who joined Camel in 2016 for their Japan tour. 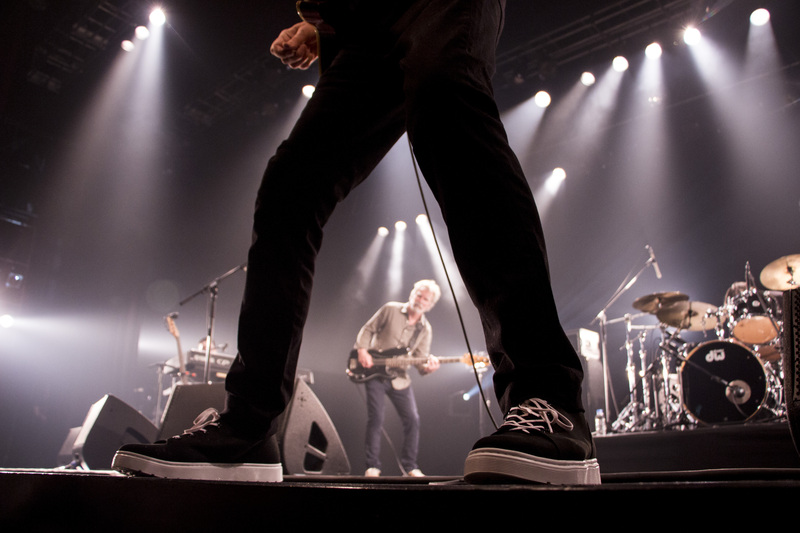 Jones' performance won the hearts of Japanese fans in 2016 and again in 2018 and by the time the band reached Europe, a global buzz had taken hold and greeted every show. By the time they reached the UK expectations were off the scale and still Camel exceeded them. Andrew Latimer called Tour 2018 the best tour Camel has ever done adding "Everything we've gone through over the years has been worth it". 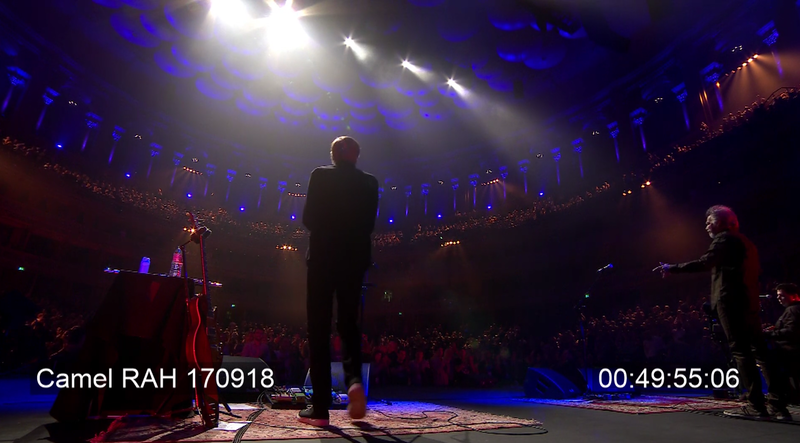 The band are now in the final stages of mixing the audio for the forthcoming DVD of the Royal Albert Hall performance. CP has seen some of the rough footage and can say unequivocally that this DVD, like the band itself, is truly in another league from the past. In fact, plans are afoot to offer the release on Blu-Ray as well. On all levels, it's a brand new day for Camel. Preorders will soon be open for the DVD and Blu-Ray and we will again offer the opportunity to memorialise your support with your name in the liner notes. Watch this space or sign up to Camel's Twitter account and Camel's YouTube Channel and be notified of any news. IS THAT ALL THERE IS MY FRIEND? Camel's 2018 world tour reached a feverish climax at the Royal Albert Hall on Monday evening. The performance far surpassed CP's expectations as the band stepped up yet another level of outstanding performances. There couldn't be a better ending if we'd tried to script it. To all who came and those who couldn't but still sent their good wishes, our thanks to you. It cannot be done without you. With the entire band now restored to excellent health and Andrew Latimer in full swing, the final segment of Tour 2018 is firmly underway. 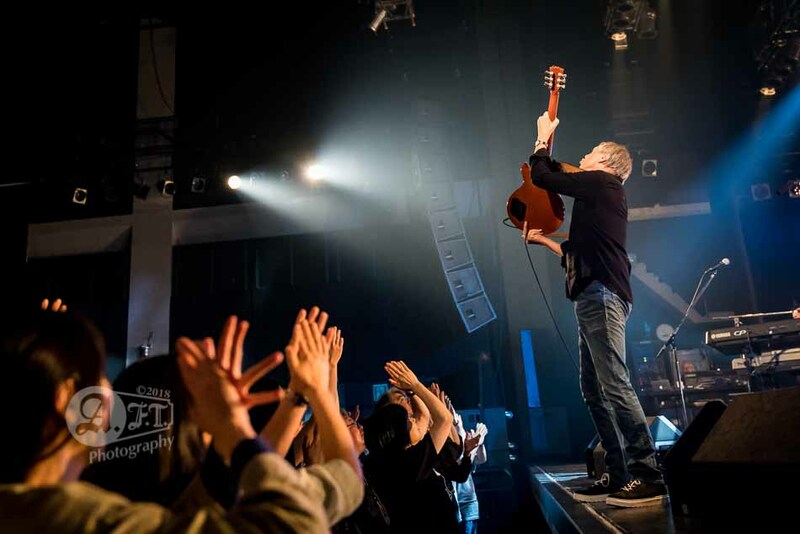 A celebratory return to Paard De Troje in Den Haag launched the band back to the centre stage on 29 Aug. CP was extremely pleased to be able to make up the lost performance and the show was all fans had hoped for and more. Conquering adversity in such spectacular fashion seems to add a special blend of passion and elation. The band and audience were one. 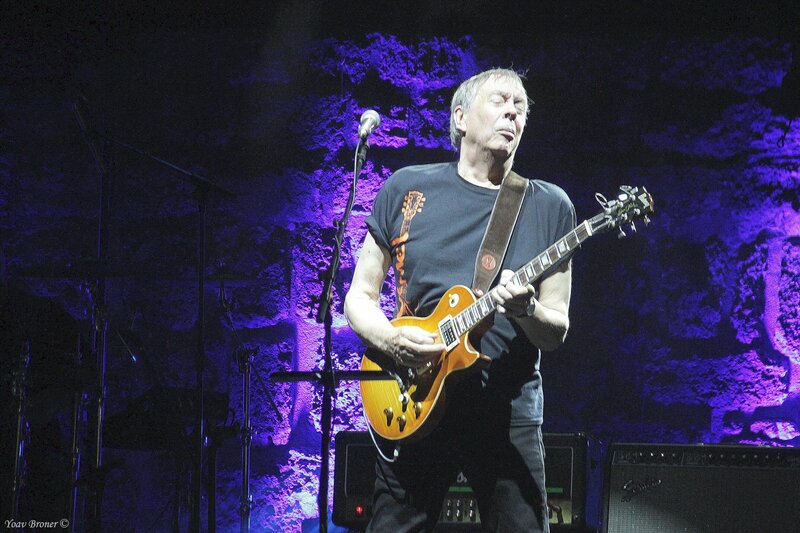 More great shows followed in Jerez and LIsbon with Madrid and Barcelona on the immediate horizon before the band return to the UK on 7 Sep.
Camel Productions is pleased (and relieved) that Andrew Latimer feels well enough to continue the rest of the tour. Barring any last minute hitches Camel will perform tonight in Hengelo. If you have any questions or concerns, please contact the venue directly as they will have up to date information. CP is also pleased to be able to announce the scheduled date for the canceled Den Haag show: 29 August 2018. Tickets are valid for the rescheduled show or can be returned. Paard will inform ticket holders via email. As many fans will have already heard, Camel's performance in Den Haag was canceled unexpectedly. Despite the recent challenge of Andrew Latimer's hernia and his need to perform seated, shows were strong and the band more energised than ever. Andrew's playing while sitting is as emotive, animated and thrilling as ever. But during soundcheck, Andrew began feeling unwell with chills and an elevated temperature. He was taken to a local medical centre. While Andrew wanted the show to go on no matter what, management made the call to cancel tonight's show. He was too ill to give himself fully to a performance, and there was concern that it would take too much out of him and worsen his condition. All agreed that it's better to cancel one show in hopes of saving the tour. No one wanted to risk losing three more shows because Andrew pushed himself too far. Cancelling Den Haag gives Andrew two full days to recover and follow the doctor's plan. It needs a little time to work its magic. A couple of days rest with medication may be all he needs. Time will tell. CP is so very grateful for the immense support of the venue, promoter and fans. Everyone understood it was unavoidable. Henk from Paard (for Mojo Concerts) invited the fans who had already arrived to have a drink in the lobby where he informed everyone of the cancellation. He also reassured fans that dates for rescheduling are already being discussed. As crew and other band members moved in and out sorting the loose ends, Colin Bass stole a few moments to go into the lobby to chat with fans and answer questions. Afterwards, Colin told CP: "They were very understanding, sending good wishes and positive thoughts. It was very touching actually". Also very touching is the outpouring of emails with love and best wishes for Andrew's speedy recovery. CP is gratified to know that fans are aware we are all trying really hard to make this work and put it right. We'll have an update in a couple of days. From all at CP, our love and best wishes to Andy as well. CAMEL TOUR 2018 is going strong with sell-out performances. 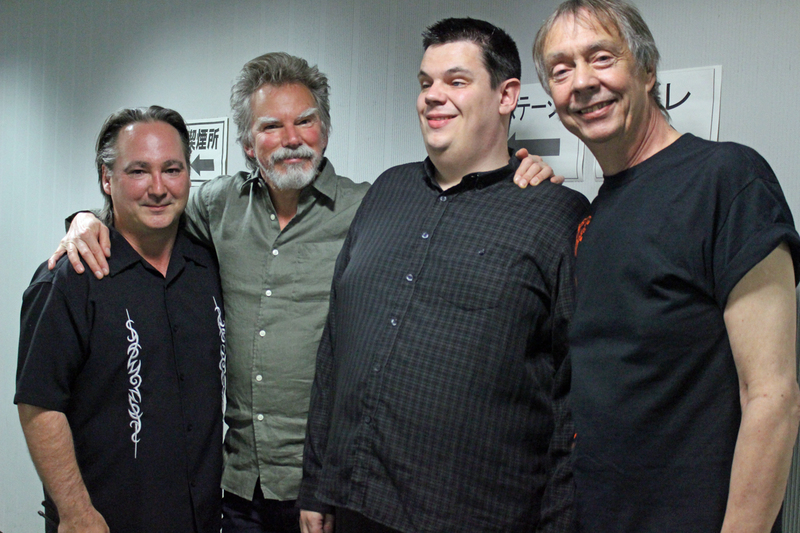 Fans have welcomed new keyboardist Pete Jones with open arms, marvelling at his phenomenal talent and versatility. Pete truly astounds audiences. Few realise he has been blind since he was a child. Andrew, Colin, Denis and Pete have impressed each and every person with their dynamic performance. There couldn't be a better start to the tour. During the last show of Tour Part I, Andrew began to experience such pain that for the first time in his 50 year long career, he had to stop the show and take time out to recover. Apologising to fans, Andrew was helped offstage. After a short period of rest he was determined to finish the show, although an encore wasn't possible. He has asked that we express his sincerest apologies for letting the show down. However, we at CP don't feel he let the show down at all. It transpires that, after an emergency assessment in a London hospital, Andrew was diagnosed with a hernia. It's a slight hernia but at times very painful. We are relieved to report that it is manageable so that CAMEL's tour can carry on as long as there is a slight modification to ensure Andrew's well being: He will need to sit during performances. Playing an 11lb. guitar as he emotionally and physically throws himself into his performance will greatly aggravate the hernia. Andrew was reluctant to accept this advice but with the support of the band, crew and management, he realises he needs to curtail his performance to ease the physical strain on his body. But we can guarantee he won't restrain the emotional aspect of his performance. Our thanks to all who have sent kind words of support to Andrew. He has read each and every one, and he sends his personal thanks for this outpouring. CAMEL have had many highs and lows during tours past, and it almost wouldn't be a CAMEL tour without some kind of challenge. As Andrew returned to the stage to finish the show, backline tech manager Simon Grocott commented: "The man is legend". Last week of rehearsals before the first show at Club Citta on 16 May 2018. 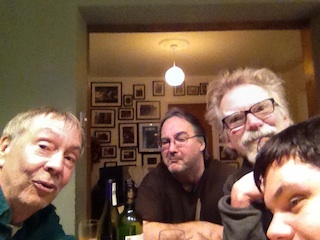 Andrew Latimer, Denis Clement, Colin Bass and Pete Jones recently had a brief rehearsal period to reconnect and consider material for the upcoming performances. Much merriment ensued after a hard day's night and all four are looking forward to hitting the road in May. The 2018 tour is breaking ground in new territories and also revisiting familiar ones. But there are some absent friends such as Scandinavia, France, Germany and both North and South America. Camel have not toured these territories in many years and there were no financially viable offers for the band to do so in 2018. It now seems highly unlikely there will be any dates added on the present schedule. Camel Productions can say for certain that the 17th September Royal Albert Hall show will be the final performance of this year. There are still a precious few tickets left and they will soon be sold out. During Camel's long history, many fans have been able to meet and spend a few moments with the band after a show. This very down-to-earth group of musicians have enjoyed this unique experience. However, during the random Meet & Greets on recent tours, there have been a few worrying moments. Crowd control became a serious issue. When several hundred fans queued for autographs and selfies, it became quickly evident that demand could not be met in the time available. At two shows, when fans realised the band had to leave before they could get their autographs, they surged forward nearly overturning a table, crushing the band against a wall. Thankfully, no one was injured but it brought to mind keyboardist Guy LeBlanc's experience in 2003 when he was nearly pulled off the stage by a fan. A monitor cabinet broke his fall, but Guy fractured a rib. At another Meet and Greet, an over-zealous fan gripped Andrew Latimer's hand in a vice-like handshake. He refused to let go despite Andrew's shouts of protest and he badly bruised Andrew's hand. The injury cast doubt on his ability to play the following night. Luckily he was able to play but the seriousness of it cannot be underplayed. An injury to any band member can bring down a tour. Had this 'fan' fractured Andrew's hand, it would have ended the tour then and there. It was imperative there be a radical change to the Meet & Greets on future tours. For a number of years Andrew Latimer has been challenged by arthritis in his hands, more so in recent years. He tells us he now finds it too painful to shake hands with anyone and so, with no disrespect intended, Andrew will not be able to shake hands and we ask that everyone respect this in turn. We would all rather he continue to play his guitar than risk silencing that gift. The other change is an end to the random access Meet & Greets. They will now be offered only as a VIP Package in limited numbers to take place in a private environment before a show. In this way, both the band members and the fans will have time for an autograph, photos and a brief personal chat in a safe and relaxed atmosphere. Please be aware that only one item can be autographed due to time constraints, so please only bring your most treasured item. This will give everyone a chance to have a memorable one-on-one moment. If you are interested in a VIP Package, please contact the venue for more information. We trust everyone will understand the need for these changes. Camel have always been open, accessible and generous to fans and that includes all band members from 1972 to the present. But we no longer live in the same time as we did in the 70's. That openness was very special. In this New Dawn, the changes throughout society are so great that those days are now truly gone by. Would anyone in 1976 have tolerated watching a 2 hour live concert, during the performance, through a 3" x 5" screen? Camel ask that no mobile phone, tablets, video cameras or any recording devices are used during the performance The band would much prefer to play to the faces in an audience as opposed to an array of arms with electronic devices held in the air, obscuring the faces of fans. Camel Productions received a number of complaints from fans who couldn't see for all the devices equally obscuring their view, let alone the distraction of the bright screens shining back at them. The intimacy and magic of a performance is lost for everyone when the focus is interrupted in this way. CP and Camel would very much appreciate your cooperation. It's hugely important that everyone enjoy the tour, both band and fans alike. Camel on the Road 2018 has an exciting new element. 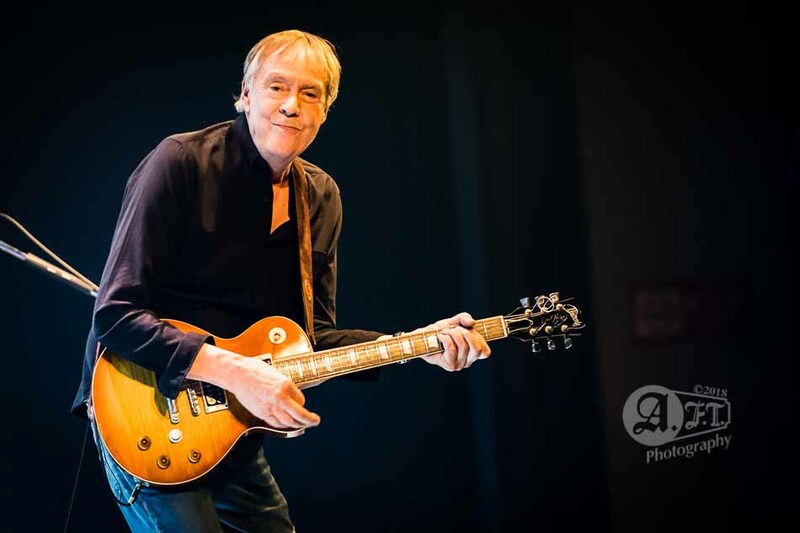 With the exception of Japanese fans, who were the first to experience Pete Jones' phenomenal contribution to Camel, tour 2018 will offer a first opportunity to do so for fans in Europe, England, and the Middle East. 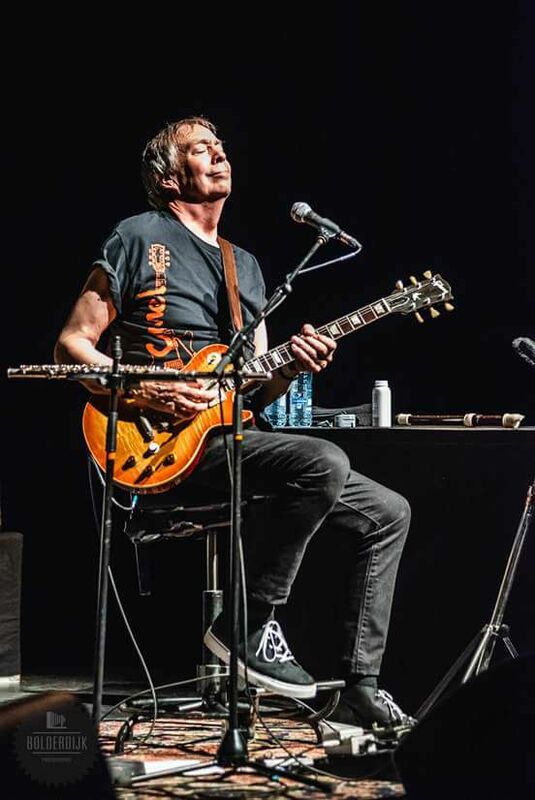 Pete Jones is a wonderful addition to the group so don't miss the chance to see a performance and enjoy the magic of this enduring and endearing group that is Camel. a brief get together a couple of weeks ago and it was a unanimous decision to return to the road in 2018. With the success of The Snow Goose tours in 2013 and 2014, the band agreed presenting Moonmadness with the same faithful intention wo uld be every bit as enjoyable. We'll have more news as more dates are confirmed (only confirmed dates are announced). 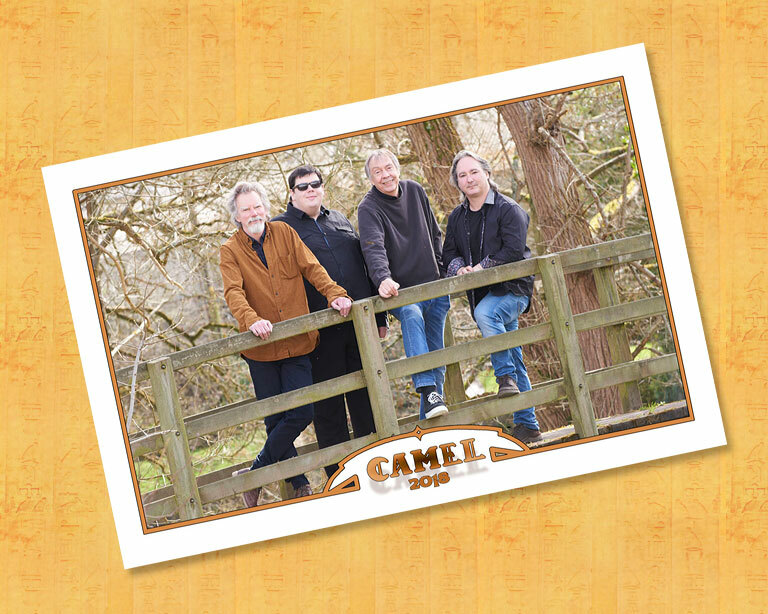 You can check Camel's NEWS and TOURS page on their website. The band are looking forward to visiting new countries on the 2018 tour. A limited number of VIP tickets will be made available on the tour. Details to follow. 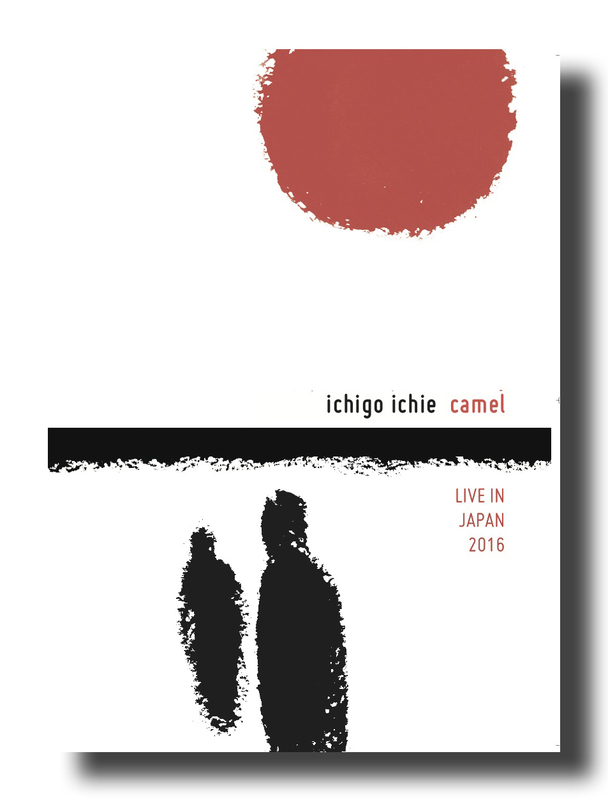 If you were unable to see this phenomenal line up perform live in Japan in 2016, you can buy the DVD recorded at the Ex-Theatre in Roppongi, Tokyo in May 2016.